Black leather and sterling silver skulls bracelet by Skulls And Orchids. 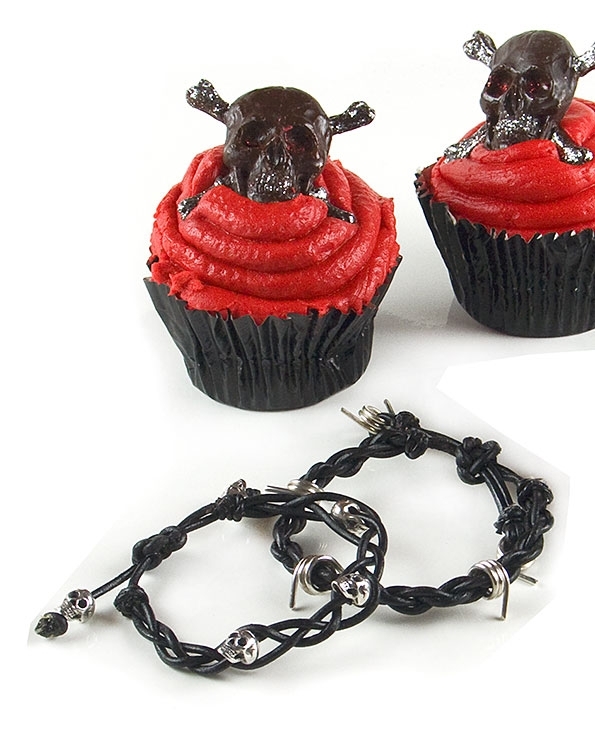 This unique bracelet features five handmade sterling silver skulls intertwined with black leather cord. Bracelet measures 20.5cm/8.1" in length and fastens with a draw string. A unique designer bracelet easy to wear all day and also makes a wonderful gift.